Nest Organics is a Downtown Asheville fixture, offering some of the cutest and most environmentally sound toys, bedding and clothes. 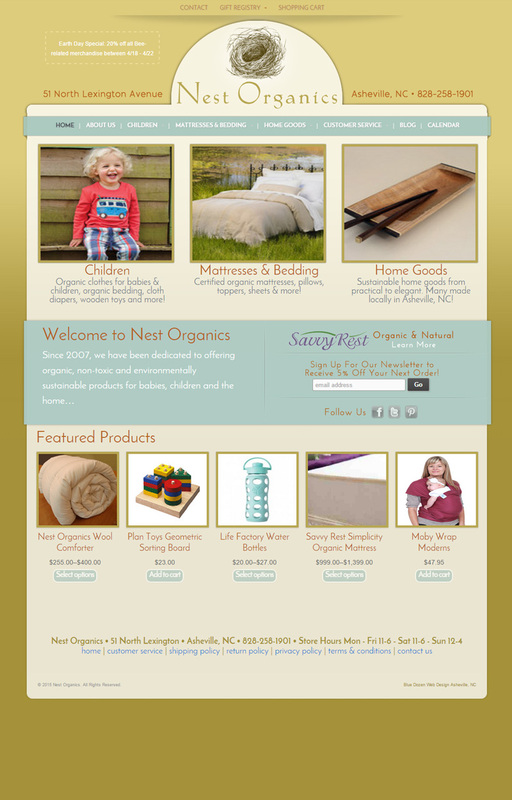 You really should check ’em out if you’re looking for baby stuff or amazing organic mattresses. The site features Woocommerce for the ecommerce function, and a fully responsive theme and some nifty features like a registry and wish list.